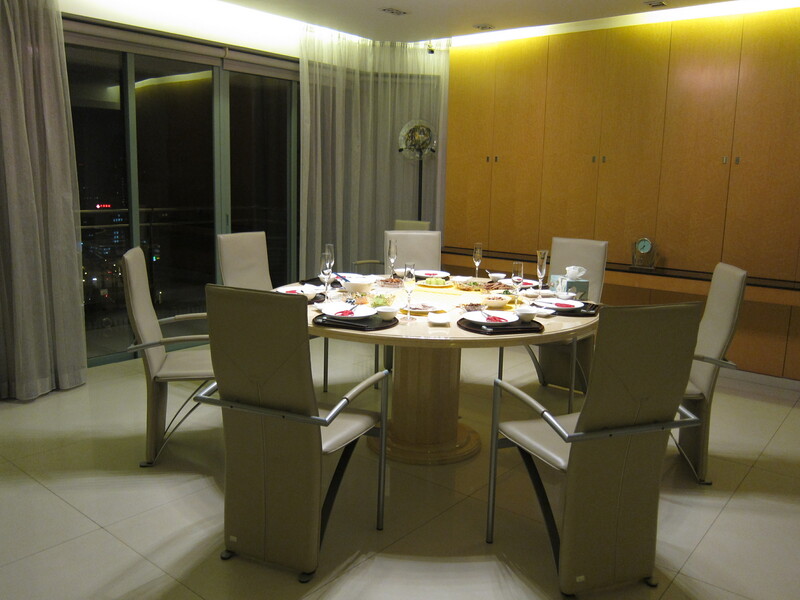 We started off with some classic cold Shanghai dishes my mom bought from the Shanghai restaurant around the corner. 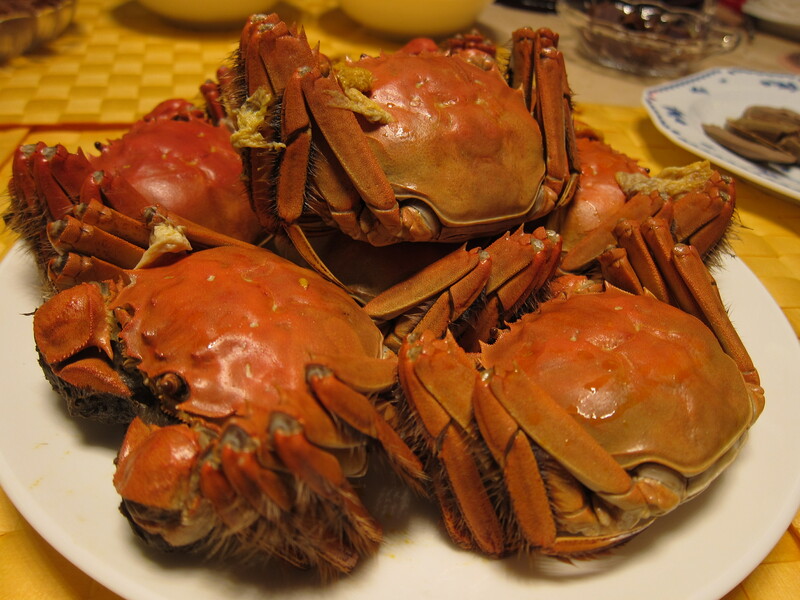 Hairy sea crabs ready and served! Most people like me stop here. I don’t like the idea of getting my hands dirty and go through so much effort to get a dinky piece of meat. My father explained to our guests step by step on how to take the crab apart. It’s pretty technical and I’m thinking that there must be some crab-eating philosophy class that people can take because no one can decide on eating them ‘the right way’. I have to admit though, the crab meat was sweet, tender and really delicious. 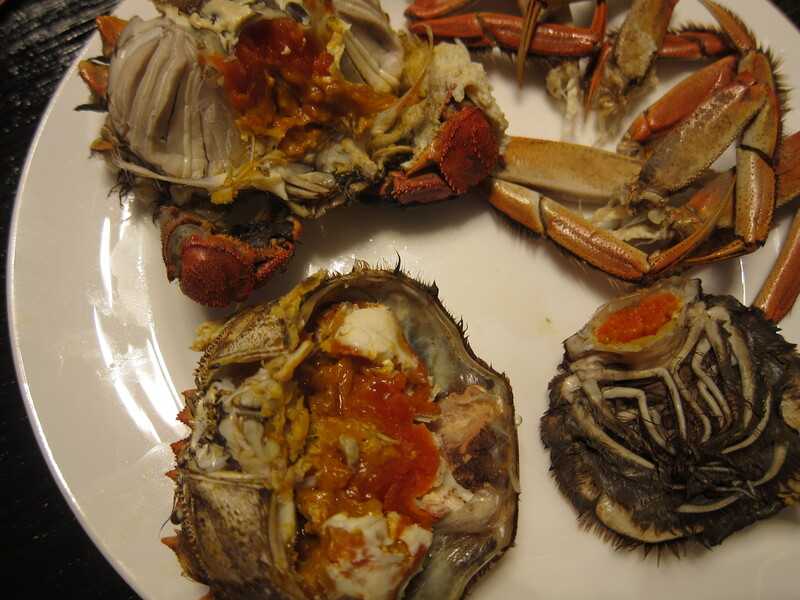 After removing, breaking, and eating all the legs… all the stuff inside the shell is what many crab lovers go crazy for. The more eggs (roe) it has, the better quality it is (watch out cholesterol). 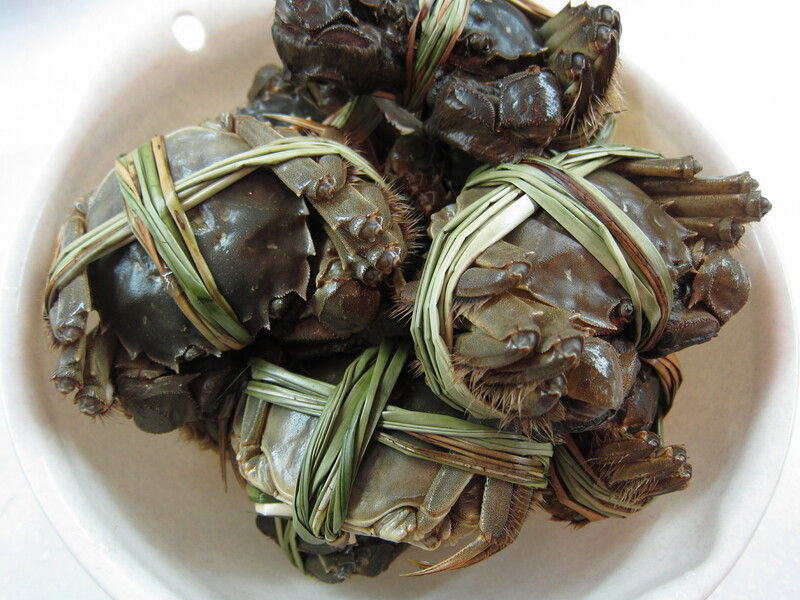 My Chinese colleagues taught me that the first thing to do when you turn the shell over is to find the heart and remove it, because eating it will cause the body to become cold. However, do be aware when opening the shell, my boss’s wife ended up with crab eggs splattered all over her face and beautiful blouse! I think my parents almost fainted at the sight. Unfortunately, she seemed traumatized by these hairy creatures for the remainder of the night… and maybe the rest of her life. Let’s hope not. 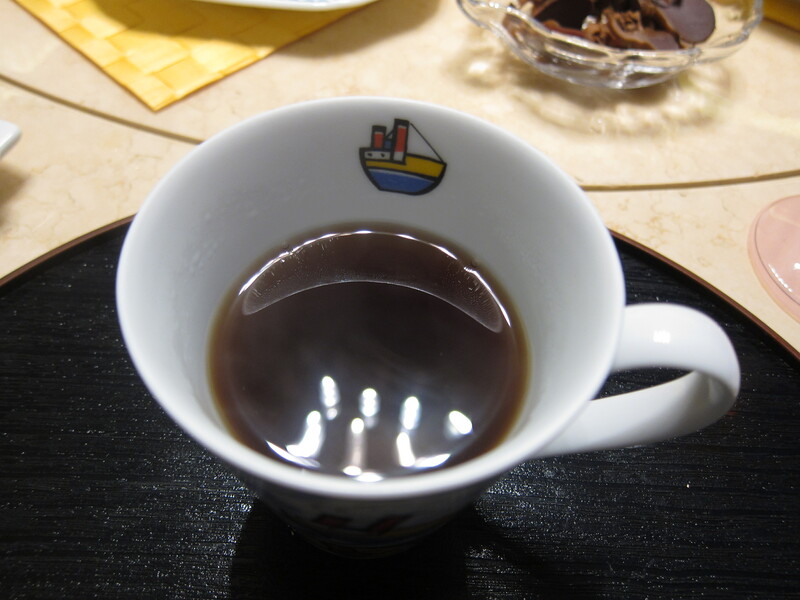 Ginger tea was prepared to warm the body after the crabs. Then came some hot dishes. 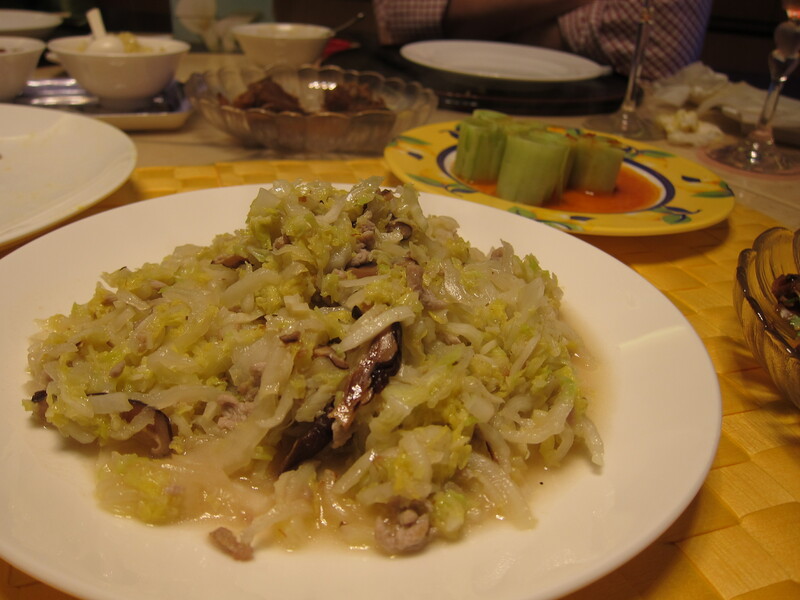 This was a simple shredded cabbage with pork and mushrooms dish. 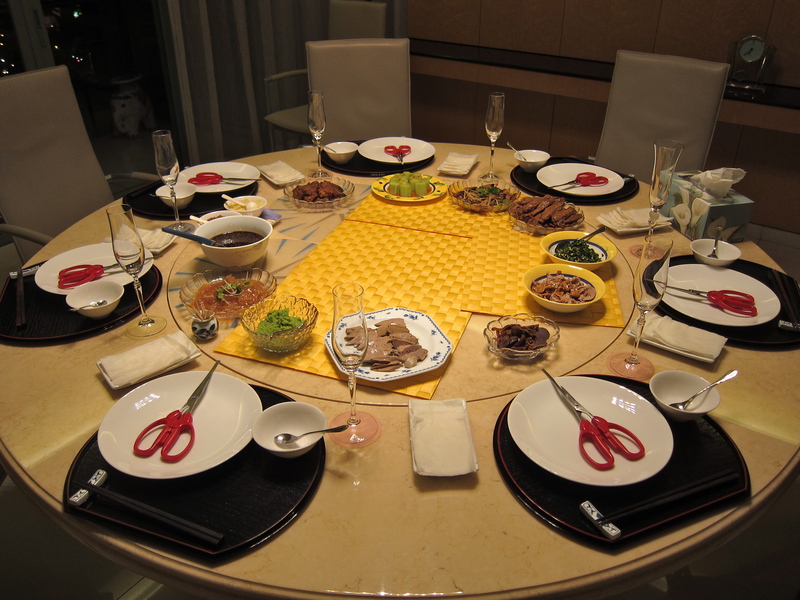 Next we had a traditional Shanghai dish called 八宝鸭 or eight treasure duck. 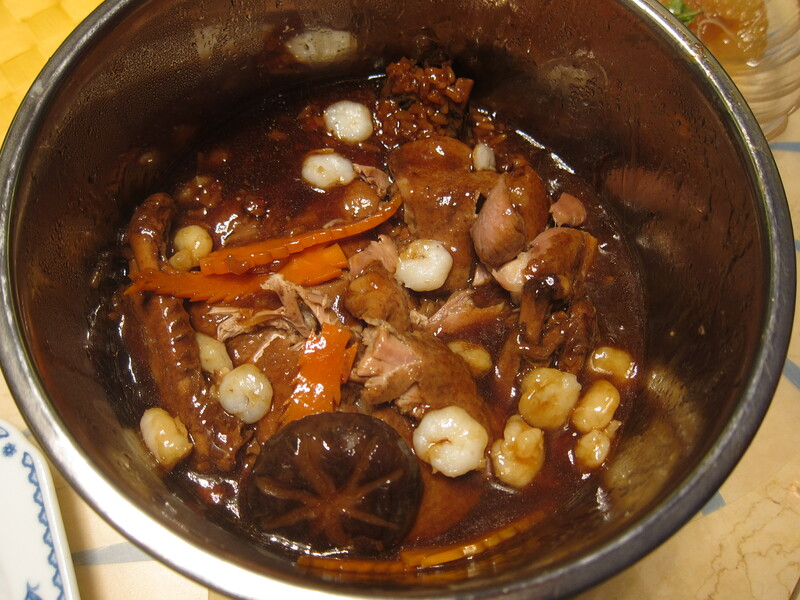 It usually consists of: duck, bamboo shoots, mushrooms, lotus seeds, dried shrimp, sticky rice, rice wine, soy sauce, sugar, shrimp, starch, diced ham, carrots etc. Then we had 獅子頭 or lion’s meat ball head (sounds silly). 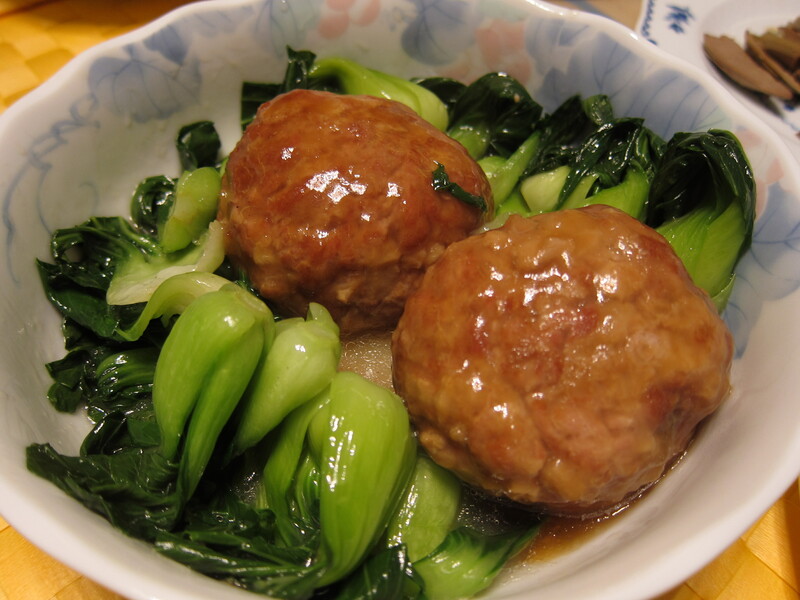 I just cannot resist a pot of over-sized pork meatballs and bok choy. 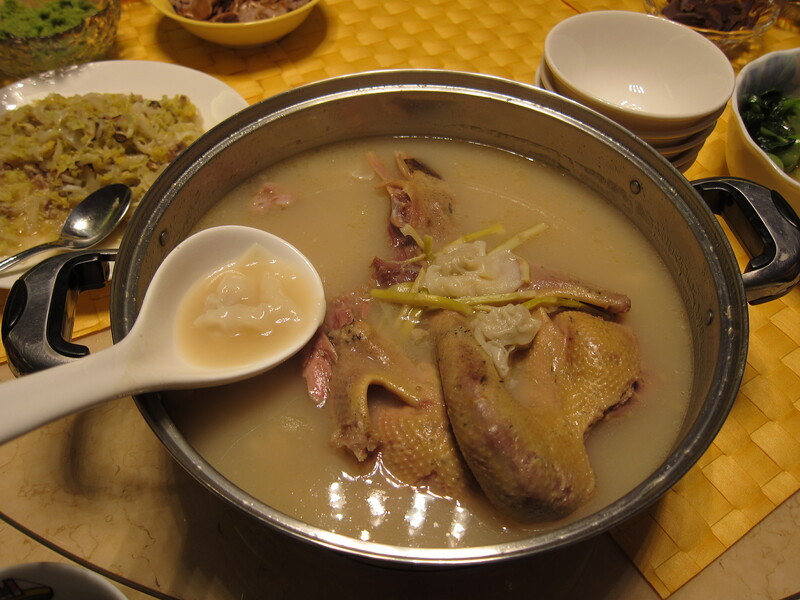 We also had 老鴉湯+餛飩 which is a rich duck soup with wontons. Soooo yummy. 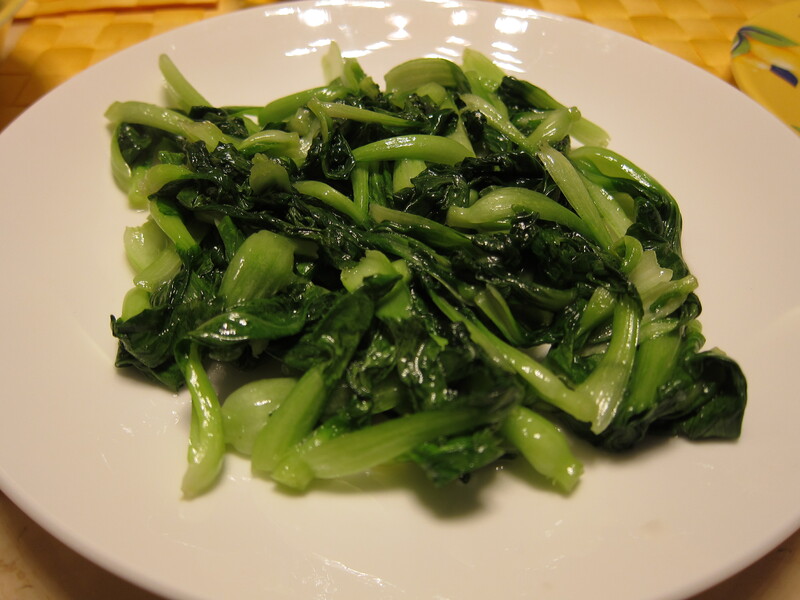 The last dish of the night was some stir-fried Chinese cabbage. Fruits are awesome. 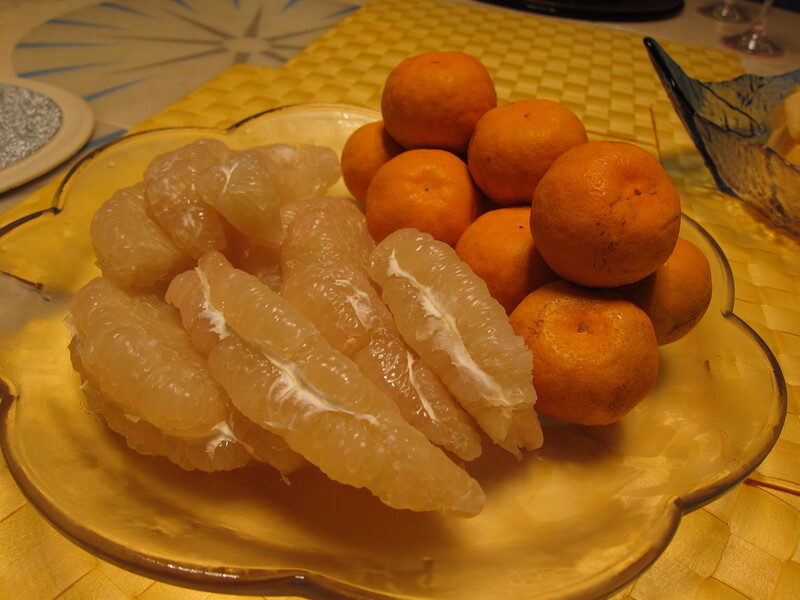 Here we have pomelo and super juicy mini oranges. The night ended there. It was fun learning how to eat crabs for the first time and seeing how our guests handled it. I respect crab-eating much more than I used to, and now I understand why people are so obsessed! Once you start taking apart a crab, it’s really difficult to stop, because in a weird way it reflects one’s determination to focus on the goal, which in this case, is getting all the crab meat out that you possibly can. Not sure if that made any sense, but you’ve got to try eating crabs to understand. Oh, and I probably looked like a mad-men while I ate my crab but that’s okay because at least now I can say I’ve experienced it and learned more about my culture along the way.